After spending several years as a governmental accountant, Allison transitioned into the world of freelance writing. Her work has appeared on on a number of reputable sites, including The Wall Street Journal, Investopedia, Daily Finance, MSN Money, and Credit.com. A native Floridian, she graduated from the University of South Florida with a Master's Degree in Accounting in 2008. Allison also travels around the nation facilitating financial literacy workshops for nonprofits, governmental organizations, colleges, and universities. 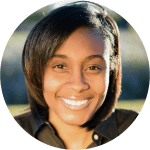 When she's not writing or speaking at an event, Allison enjoys spending time with her family, mentoring mommy-preneurs and taking extended road trips. Amazon Prime typically costs at $12.99 a month or $119 a year, but you can get the service for less. We've got you covered with our tips for securing an Amazon Prime membership discount. If you're still on the fence about Amazon Prime, consider testing it out at no cost. Our guide on how to get Amazon Prime for free looks at all the trial options, plus other free ways to get the service. If you're a veteran or an active-duty member of the U.S. armed forces, you may be able to save big on everyday purchases. Check out our ultimate military discounts list to see what you can expect. Carnival season is upon us. And if you plan ahead, you'll be able to enjoy the fun in New Orleans without leaving your wallet hung over. We look at what you can expect to spend at Mardi Gras. Whether your fella is into gourmet foods or games, or you want to splurge or save, we've got you covered. Read on for our Valentine's Day gift ideas for him. Stressing about Valentine's Day? Whether your gal is into coffee or makeup, or your budget is big or small, we've got you covered. Check out our list of Valentine's gifts for her, so you can pick out a present she'll love. Buying a new TV is exciting, but it can also be stressful. So we're here to help with the TV terms you need to know, what they mean, and how to choose the best set for your space. With so many options on the market, figuring out which pair of headphones meets your needs can be overwhelming. Check out our list of the most important questions to ask yourself before buying a new pair of headphones. You want returns to be easy for any holiday gifts that didn't work out. So we're giving you the essential info on holiday returns, from the fine print to look for to the retailers with the best policies. Is your wallet feeling the sting of a rising heating bill? With these seven winter home improvements, you can get your HVAC costs under control.